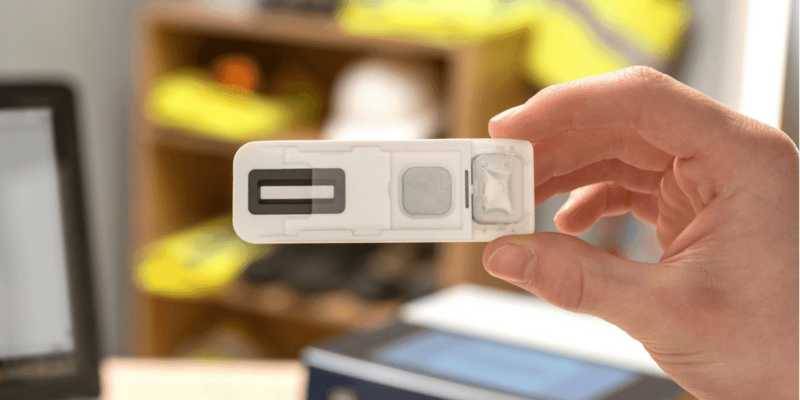 Following a successful trial, HM Senior Coroner for Staffordshire (South) has placed an order for a revolutionary new fingerprint-based drug screening system from Intelligent Fingerprinting. The new technology will be used by the Coroner’s team to carry out a simple, non-invasive drug test on the deceased immediately upon arrival at the mortuary. The test results will help to prioritise costly and time-consuming post-mortem investigations. 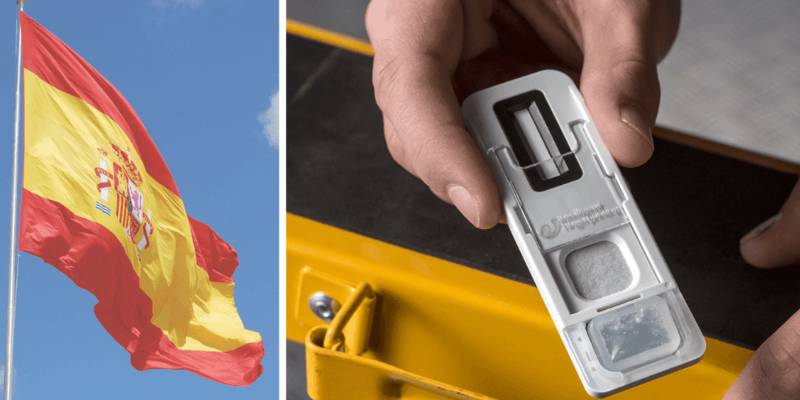 Launched just last month, Intelligent Fingerprinting’s new Drug Screening System is the world’s first portable fingerprint drug test. It detects recent drug use by analysing the sweat collected from the tip of a finger. Remarkably, sweat deposits are still present even after death. Sample collection takes five seconds, and the system delivers simultaneous screening results for the four main drugs of abuse – cocaine, opiates, cannabis and amphetamines – in under ten minutes. This rapid and non-invasive approach provides Coroner services such as Staffordshire (South) with a convenient means of gathering critical early intelligence on possible drug use by the deceased – particularly in comparison with conventional toxicology tests that are usually conducted as part of the post-mortem examination. These typically require the collection of invasive body fluid samples – blood, saliva or urine – that then have to be sent away for analysis by external testing laboratories. 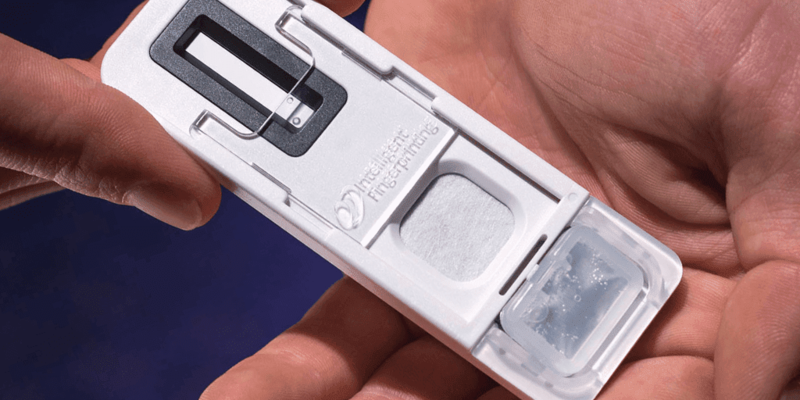 The Staffordshire (South) Coroner’s Office has been an active participant in trials of Intelligent Fingerprinting’s drug screening system over the last 18 months, with trial results showing that fingertip-based testing can deliver effective screening, prioritising the requirement for further post mortem enquiries and full toxicology analyses. To learn more about how non-invasive fingerprint drug screening works, and how it can become a valuable drug screening technology for Coroner services and other applications, view the Intelligent Fingerprinting introductory video. The Staffordshire (South) Coroner’s Office assists and supports the HM Coroner and the police in their investigation of unnatural deaths within their jurisdiction and to determine whether or not an inquest is required.